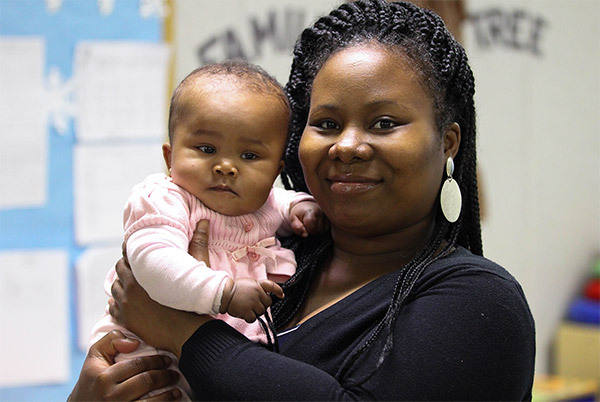 At House of Ruth’s programs in Washington, DC, we assess the capacities and needs of each woman and child, then design and deliver a specialized combination of services to meet their specific needs and build on their strengths. We enfold the women and families in an environment that is safe, structured and predictable and where they receive highly responsive and caring attention from the staff. Every year at House of Ruth, more than 1,000 women and children work hard to learn the skills to live independently so they can eliminate homelessness and abuse from their lives. House of Ruth provides housing and services to 50 families and 74 single women; supportive services to 21 families and 18 women housed in apartments throughout the city; developmental day care to children and supportive services for their parents; and free counseling for women who are dealing with or recovering from domestic violence.